Mt Taylor Hike, ACT. 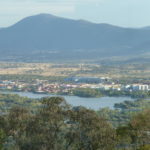 This is a 3.8km return walk offering amazing 360 degree views of CBR. Where: Sulwood Drive, Kambah, ACT. A few of the local’s at work recommended I take a hike up Mt Taylor. I was surprised how popular it was when I arrived. There would have been about 50 cars parked on the dirt patch just before the Mt Taylor trail. There were people zooming up and down the mountain with their active gear on all over the place, dogs being taken for a walk and family outings. Normally I like my bushwalks to be a bit more remote with less people. But this place had a great atmosphere and it was cool to see so many people enjoying the outdoors. The Mt Taylor track is well maintained. The walk up the mountain is just under 2km’s with an elevation of around 220m. You start at an altitude of approx 658m and finish at about 848m. 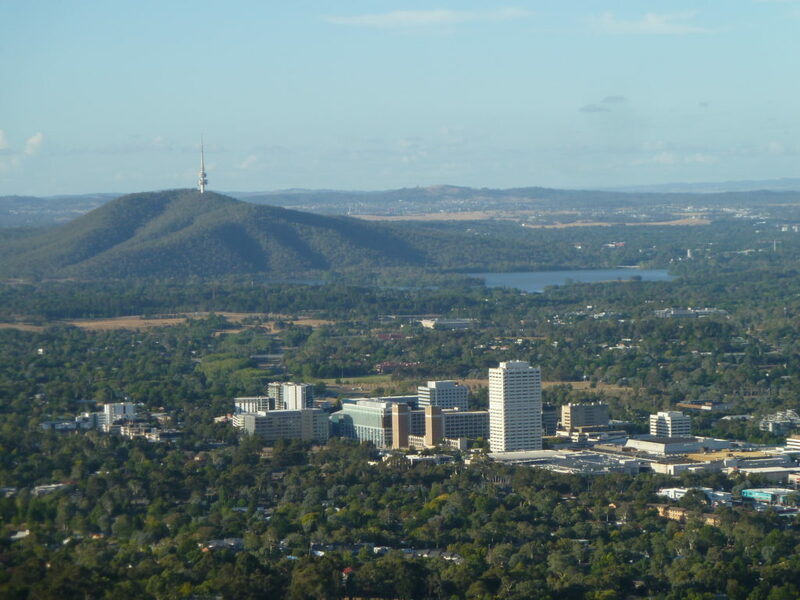 The views at the peak of Mount Taylor are fantastic offering you a 360 degree view of Canberra. And not a bad place to witness a sunset. I really enjoyed my trip up Mt Taylor and give it 4 stars. Google Map Link. Head south of Canberra toward Tuggeranong. The trail end is on the corner of Sulwood Dr and Mannheim St, Kambah. Mt Taylor walk trail Map. Mt Taylor walk Photo Gallery. Mt Taylor walk Youtube Clip. Bushwalking Canberra, act bushwalks, Canberra bushwalks, tracks, trails, Mt Taylor, Mount Taylor trek.